Rare never seen before images of John Lennon will go for auction with Julien's at The Beatles Story in October 2018. 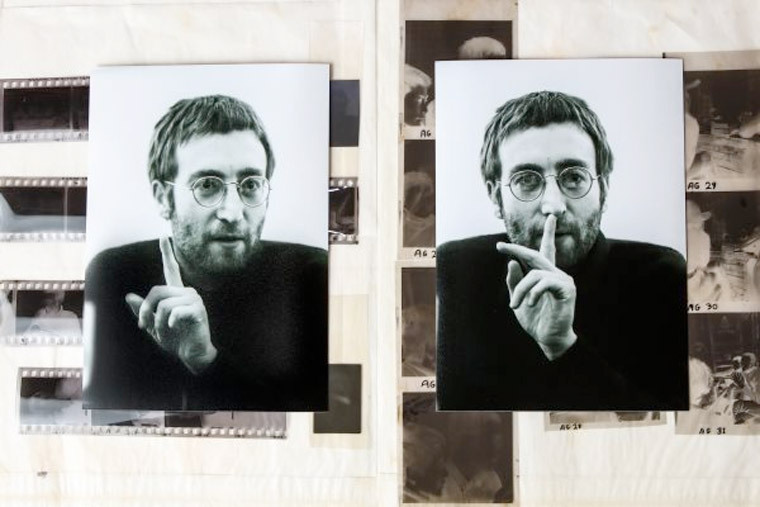 The negatives, which depict intimate portraits of the former Beatle, were bought to a Memorabilia Day held at The Beatles Story on 25 October, an event where members of the public were being offered free valuations from leading celebrity memorabilia experts Julien’s Auctions. The owner of the negatives, who wishes to remain anonymous, told experts that the collection had been stored away in the family’s junk draw for around 34 years, and were presumed to have no value. Many other items were discovered on the day, including a Beatles Christmas Show programme from 1963 signed by all four Beatles, valued at £8,000 and a signed postcard, valued at £5,000. These join the letter found at last year’s event, written by John Lennon and addressed to The Queen, the document explains the singer’s reasons for returning his MBE and was valued by Julien’s at around £60,000. The negatives, the John Lennon letter and many of the other items are to be consigned into an auction taking place at The Beatles Story next year, in October 2018. This will be the first Beatles auction to take place at the award-winning Liverpool attraction and will see around 100 Beatlesand music-related items go under the hammer. The collection of negatives will go onto temporary display within The Beatles Story’s main exhibition from 9 November 2017, for the public to view and enjoy before the auction. For more information about The Beatles Story and to purchase tickets please visit: beatlesstory.com.